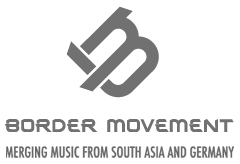 Taking the Indian bass-scene by storm and bringing a fresh new sound, seeing never before used Indian percussion with Drum&bass music to fuse together , a rich, melodic and aggressive sound that rips through sound systems. Influenced by gians like Noisia, Spor, Optiv & BK and various heavyweights from the international D&B arena, their sound is a heady journey that showcases driving, melodic and cutting edge futuristic bass music. Providing the live element to the band is an alcoholic Tarang Singhal, who began his musical tête-à-tête at a mere 8! and Plays the tabla, darbuka, Jembe, Bongo, Drums and other home made percussions that allow him to create a churning mayhem with the electronic deliciousness of the badman Sarvesh Shrivastava. Their sounds are magical and danceable at same time, a vivid journey into the unknown and the un-chartered, the sublime and the scintillating, promising to introduce a sound that is enjoyed by the masses and that is anthem-like and cerebral at the same.